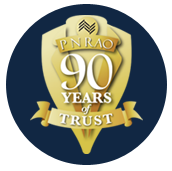 P N RAO was founded in 1923 by the late Pishe Narayan Rao in Bangalore. The firm had humble beginnings in a small store on M G Road, with Shri P N Rao designing garments for officers and ladies of the erstwhile British Empire in the cantonment area. Today, the brand has made an indelible mark with seven stores spread across Bangalore and Chennai, where it has built a reputation of suiting up the cities' elites. The pillars of P N RAO's identity are built on a foundation of bespoke suiting, constant innovation and superior quality. OUR CORE VALUES REFLECT WHO WE ARE AND WHAT WE STAND FOR AS A COMPANY. We develop relationships that make our customers feel inspired and confident. We are dedicated to tailoring individuality and distinction. We provide key insights into all things pertaining to mens's suiting. We exhibit a desire to create new and impactful designs and set high standards for fashion. We uphold the highest industry standards to deliver the best quality products. We operate with the highest moral standards and live up to our commitments in a fair manner.